Scientists have made big progress on a "bionic pancreas" to free some people with diabetes from the daily ordeal of managing their disease. A wearable, experimental device passed a real-world test, constantly monitoring blood sugar and automatically giving insulin or a sugar-boosting drug as needed, doctors said Sunday. The device improved blood-sugar control more than standard monitors and insulin pumps did when tested for five days on 20 adults and 32 teens. Unlike other artificial pancreases in development that just correct high blood sugar, this one also can fix too-low sugar, mimicking what a natural pancreas does. 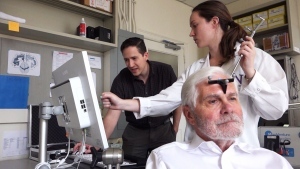 The device was developed at Massachusetts General Hospital and Boston University. Results were featured Sunday at an American Diabetes Association conference in San Francisco and were published online by the New England Journal of Medicine. "I'm very excited about it," said Dr. Betul Hatipoglu, an endocrinologist at Cleveland Clinic who had no role in the work. Many patients have been frustrated waiting for a cure, so "this is really a great new horizon for them," she said. The bionic pancreas is for Type 1 diabetes, the kind often found during childhood. About 5 per cent of the 26 million Americans with diabetes have this type and cannot make insulin to turn food into energy. Sugar builds up in the blood, raising the risk for heart disease and many other problems. These people must check their blood and inject insulin several times a day or get it through a pocket-sized pump with a tube that goes under the skin. "This would lift that burden off of their shoulders," Dr. Steven Russell, a diabetes specialist at Massachusetts General, said of the bionic pancreas he helped design. It has three parts: two cellphone-sized pumps for insulin and sugar-raising glucagon, and an iPhone wired to a continuous glucose monitor. Three small needles go under the skin, usually in the belly, to connect patients to the components, which can be kept in a fanny pack or a pocket. Patients still have to prick their fingers to test blood sugar twice a day and make sure the monitor is accurate, but the system takes care of giving insulin or glucagon as needed. Kristina Herndon said her 13-year-old son, Christopher, "loved it" when he tried it for the study, and "felt pretty badly giving it back" when it ended. Christopher has to check his blood sugar eight to 10 times a day and his family has to watch him closely in case it dips too low while he sleeps, which can cause seizures or even death. 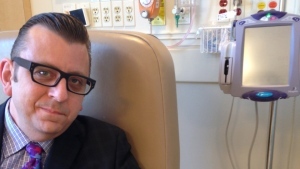 "It's a disease that I think people think is not a big deal but it's tough. It's hard on a family," said Herndon, who lives in Newburyport, Massachusetts. Next steps: A study starts Monday in 40 adults who will use the device for 11 days. By fall, researchers hope to have a next-generation version combining all three components in one device to be tested in studies next year aimed at winning federal Food and Drug Administration approval. "My goal is to have this device done by the time my kid, who has Type 1 diabetes, goes to college" in about three years, said Ed Damiano, a biomedical engineer at Boston University. Two San Diego-based companies -- DexCom and Tandem Diabetes Care Inc. -- made components of the version tested in the current study. Boston University and Massachusetts General own or have patents pending on the system, and several researchers may someday get royalties. Medtronic, Johnson & Johnson and several other companies also are working on artificial pancreas devices. 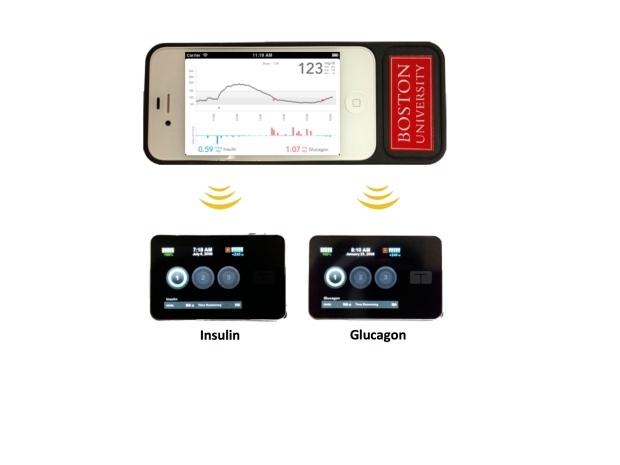 The Boston group's work is exciting and the results are compelling, but there still are practical challenges to bringing a device to market, said Aaron Kowalski, who oversees grants by the Juvenile Diabetes Research Foundation on artificial pancreas development. "Most people with diabetes want less devices in their lives, not more," so putting the components into a single automated system is key, he said.